Marxism is out of fashion these days. Like cravats and bell-shaped trousers, no one would admit to having a book by or about Marx in their bookshelf, and reading it is categorically out of the question. 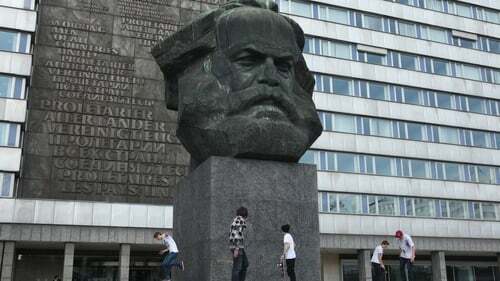 Universities don’t teach Marxism any more. Newspapers rarely mention Marx. Many millennials probably don’t know the difference between Karl and Groucho Marx. To proclaim one’s sympathy for Marxism today comes across as quaint, nostalgic, some might even say pathetic. In a fickle, fast-moving world where one is ridiculed for wearing the same garment more than once, Marxism is so last-century, the ultimate put-down. And yet, our modern society has probably more to learn from Marx than from any other dead, white, male thinker. Born in the small German town of Trier on May 5th, 1818, the 200th anniversary of his birthday should be widely celebrated, since Marx was right about many things, and we dismiss his teachings at our peril. The best thing that happened to Marxism in recent years was the implosion of the Soviet Union in 1991. After many decades of a deadly ideological war, where Marx was unjustly hailed as an inspiration for brutal political systems that brought us Gulags, the Cultural Revolution, and unbound state terrorism, the door was left ajar for a split second for Marx and Marxism to be assessed and evaluated for its own merits, and not in terms of geopolitical posturing. This did not last long: Marx was quickly dismissed to the dustbin of history along with all those leaders like Lenin, Stalin, Mao and Castro who did Marx a gross disservice by allegedly justifying their actions by invoking his spirit and misunderstood ideas. The truth is that we need Marx today more than ever, and more than we think and there are at least two reasons why we should still be reading and teaching Marx today. First, we need to remember that Marx had virtually no interest in utopian speculations about what a future communist society will look like. If we inspect his collective works - 50 volumes comprising scholarly and journalistic publications, unpublished manuscripts and letters - only a small, almost insignificant minority of his output, perhaps less than one percent of the total, was devoted to communism. So if not communism, what was Marx writing about? Capitalism. Marx dedicated his life to understanding the logic of capitalism and capitalist society. Living and writing at a time when capitalism and industrialisation was establishing itself in Europe, and spreading its wings in the form of European imperialism and colonialism, Marx was in a privileged position to see this burgeoning, bourgeois economic system, or "mode of production" to use Marx’s terminology, in its clearest, starkest, and darkest forms. This was the age of brutal working conditions that form the backdrop to the great 19th century novels by Mary Gaskell (Mary Barton and North and South), Charles Dickens (Hard Times) and Émile Zola (Germinal). In Vol.1 of his masterpiece, Das Kapital (Ch.XV.9), Marx points out that there were six fatal accidents and 60 mutilations in a scotching mill at Kildinan, near Cork, between 1852 and 1856: "every one of these might have been prevented by the simplest appliances, costing a few shillings". Industrial accidents are a fact of modern life, because workers are expendable commodities, today as they were in Marx’s time. One only needs to remember the 2012 Dhaka fire in the Tazreen Fashion factory in Bangladesh, which was making garments for Walmart and Primark and where at least 117 people were confirmed dead and over 200 were injured. The truth no one wants to hear is that the essence of capitalism has not changed in the last 200 years. And while capitalism has progressed, and has become more sophisticated, the wolf is still there, hiding in sheep’s clothing. Nothing and no-one is out of bounds for an all-encompassing system motivated by one simple rule, the lure of profit. Babies and organs are sold by the impoverished to buy food, workers are enslaved to clean our homes and build football stadiums for our entertainment and, in the process, slums of unimaginable squalor have emerged. There are at least 920 million slum-dwellers in the world today, living in overcrowded, informal housing, with inadequate access to safe water and sanitation, and insecurity of tenure. For every rich person created by capitalism, thousands are sentenced to the slums. In the rich, industrialised West, we don’t see those things. That’s because capitalism has learned to export its worst sins and industrial accidents and desperate living conditions are a fact of daily life for the majority of people on our planet. For the most part ,they don’t occur in our backyard and we profit from other people’s unequal opportunities and willingness to be exploited. Best of all, we don’t even have to close our noses or look the other way while we go on our merry way enjoying the fruit of other people’s labour. Marx understood all this. The second reason why we should read Marx today is that he has the respect of at least one influential cohort of people in modern society: the capitalists. In a series of articles published in The Wall Street Journal in November 1991, the newspaper argued that three great minds had shaped the 20th century and are likely to shape the 21st century: Freud, Einstein and Marx. The inclusion of Marx in this troika is perhaps surprising. For a start, his name does not appear very frequently in the pages of The Wall Street Journal. But at the same time as the collapse of the Soviet empire gained momentum, the triumph of capitalism was already being hailed as the end of history. What is even more surprising about the scrutiny Marx received in The Wall Street Journal in 1991 is that they acknowledged his genius and recognised that capitalism still has many lessons to learn from Marx. Had this article appeared in The Guardian or Marxism Today or some obscure publication by a Trotskyist group, no neutral observer would take it seriously. But The Wall Street Journal is a bastion of the capitalist order, a powerful instrument unapologetically in favour of the market system and everything that it stands for. When The Wall Street Journal says "Marx’s revolutionary analysis concentrated almost exclusively on capitalism, not socialism, and even now, severe abuses can spring from unbridled capitalism", we should take notice. No one knows unbridled capitalism like the Wall Street Journal. We read Marx because he understood the logic of capitalism better than any thinker, before or since his time. In particular, Marx understood three key things about capitalism. First, unregulated self-interest engenders socially damaging results, such as disastrous environmental problems of insurmountable magnitude. Secondly, the toxic mix of uninhibited competition, the pursuit of profit, and the unquenchable desire to accumulate capital would eventually erode society’s moral fabric. Thirdly, he understood that the growing disparity between rich and poor is unsustainable, and that this inequality would eventually make capitalism implode. Yet there is more. Capitalism is also profoundly unfair. Capitalism breeds injustice, in the shape of dehumanising exploitation and rampant alienation. Social injustice is not only economically inefficient, it is morally unacceptable. We no longer live in the 19th century, but we still live in a capitalist society. Some things have changed, but many others have not. This is why the 200th birthday of Marx needs to be celebrated. There are worst things we could do this week than go out and read one of his books.